Need help with outsourcing to Ukraine? In 2018, the British company Emerging Europe organizes a new IT-focused event: Sourcing in Emerging Europe. 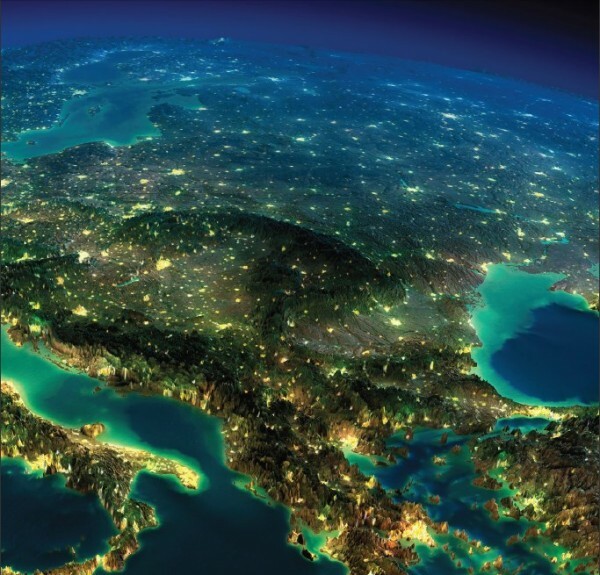 Sourcing in Emerging Europe collects valuable ideas and ideas from public opinion leaders. Printed and distributed by paper versions (4,000 copies are distributed at conferences and sent by mail to various companies and institutions in the UK, Scandinavia, and Germany). Day 1. Workshops for a better understanding of markets, culture, goals of their buyers and preparations for the second day of communication. [add-on] Innovation Sandbox Workshop, up to 6 suppliers (only Headliner, Ambassador and Influencer packages) and 3 major buyers. The purpose of this workshop is to exchange ideas and establish a reliable relationship. Over 200 participants for each of the two conferences – in London in March 2018 and in Copenhagen in October 2018. Real networking, to which Emerging Europe has been preparing the audience for the first publication and the spin of public interest. (+ 5 tickets, an analytical article about your company, region or other topic of your choice, the company sponsoring the conference and present in all communications, 4 weeks – your great banner on the main page of the portal Emerging Europe, the only sponsor of the cocktail reception with the ability to speak on receptions, logo on badges, branding of the company on the front page of the package, 2 pages under the company’s advertising in print version, logo on the screens as a plenary session, and ordinary, 2 people from the company at VIP-party). If you buy a sponsorship package for two conferences (both London and Copenhagen) – a 20% discount. 70% of UK buyers indicated that within the next 18 months, changes would be made to their existing portfolio of key service providers. 44% of Nordic Market companies said that they plan to transfer more outsourcing tasks. Companies are ready to look for an alternative to suppliers from India. Perfect time for companies and communities from Emerging Europe to strengthen their position. Ashurst, Avangard Leasing, Balkan Petroleum Holding, Balkan Real Estate, Banca IMI, Bank Moscow-Minsk, Barclays Wealth, BBC Worldwide, Bloomberg, BNK, British Land, British Petroleum, Capital Times, CBRE, Citibank, Clifford Chance, CloudEmployee, COBCOE , Control Risks, Convergys, Credit Suisse International, Currency UK, Cushman & Wakefield, Debtwire, Deloitte, Deutsche Asset & Wealth Management, Economist Intelligence Unit, Erste Group, European Commission, Faegre Baker Daniels, Financial Times, Fitch Ratings, GDF Suez Energy , Goldman Sachs, Group Tree, IFC, Immofinanz, Hellenic Petroleum, Lukoil, Morgan Stanley, MPC Properties, Osborne Clarke, Pfisterer Holding, PMi Consult, PwC, RBS, RELX, Renaissance Finance International, Skanska, TechUK, Tungsten Capital, UBS, Unicredit, Vertex Pharmaceuticals, Warsaw Stock Exchange, Zurich Credit and Xoomworks. For all questions, call/write me. P.S. An extra chance to save: by October 31, Emerging Europe offers a 5% discount on all packages. Have ideas? Let us speak! IT Crusade from Ukraine to London for Clients – Open for Applications! BDMSummit in Kiev tomorrow - let's go? Where do YOU want to be in the next decade? 1 workshop, 2 conferences, 1 new community and videoblog: concentrated news from Cossacks IT. …is a high level outsourcing consultancy for those, who want to develop software in Ukraine. Contact us, if you want to make the best use of Ukrainian IT power with minimal risks and maximum value. Believe you do great job and want to join our group of trusted companies? Click here to fill in the application form.